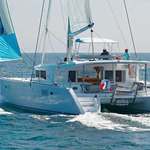 Ibiza Dreams is a name of boat Lagoon 450 ,which was produced in 2018. You can charter this yacht from port Sant Antoni de Portmany just a few kilometers from Ibiza. 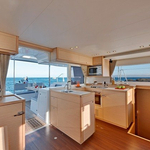 Ibiza Dreams is equipped with 8 berths. 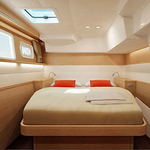 Beds on the sailing boat are configured in 8 layout. 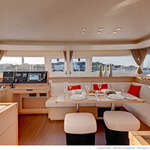 4 bedrooms are situated inside the yacht Ibiza Dreams. 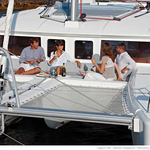 Find about more search results following this link: Catamarans Ibiza. 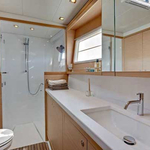 Guests can feel good on this sailing boat , because there are 4 toilettes with showers for their disposal. 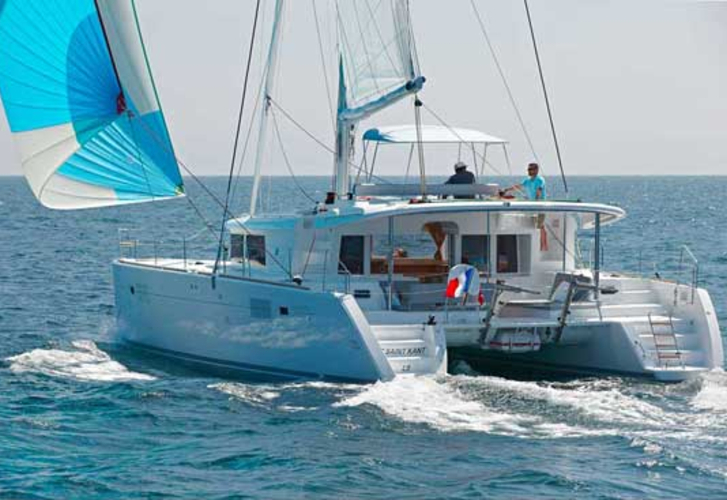 With 1000.00 l l. in diesel tank you can sail really far and still be independent because of 700.00 l l. in tank for water. Ibiza Dreams is supplied with motor 2x55 hp. Boat's dimensions are: lenght - 13.96 meters , beam - 7.70 m and 1.40 m of draft. On the sailing boat there is following equipment: Bimini top, Dinghy, Anchor electric windlass, Teak deck, Electric hallyard winch, Water maker, Final cleaning, Radio / cd player, TV, TV, DVD player, Air conditioning, Heating, Outboard engine, Autopilot, Fishfinder, Gps plotter, Radar, Cooker with grill, Freezer, Microwave. . Deposit is at the level of 1500.00 EUR. 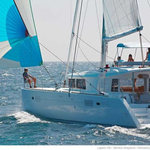 In our search machine you can quickly check avalailability of sailboat Ibiza Dreams from Sant Antoni de Portmany by navigating to the section Catamarans Balearics.